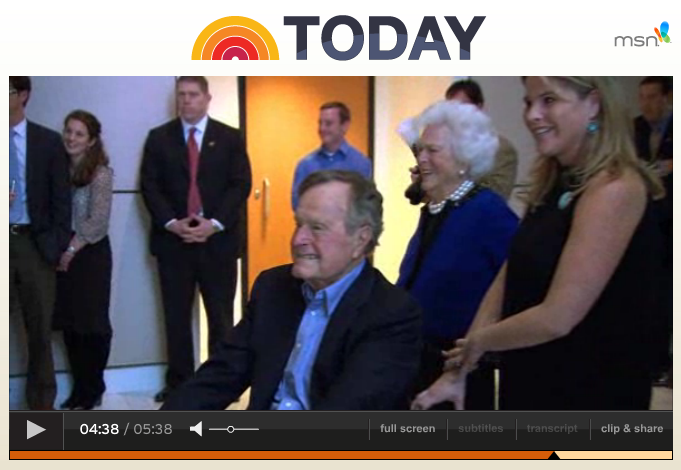 The TODAY Show’s piece “Bush: 41’s Letters” includes a flash mob the 41st president received from Texas A&M University, organized by Flash Mob America. To view the piece, please visit: Today.com. The flash mob begins at 4:30.